Vuex is the official state management library for Vue applications. In this beginners tutorial, you'll be learning about Vuex and how you can use it to deal with complex data requirements in your front-end application. In this tutorial, we make the assumption that you don't have and previous experience working with Vuex. Let's get started with this tutorial—so what's Vuex? Vuex is a a Vue implementation of the Flux state management pattern. It's a library for working with data in your Vue applications. Vuex enables developers to make complex data management easier and more efficient by using a global data store that can be accessed from all components of the Vue application for getting or setting data. Vuex allows yo to efficiently share data between the application components. events: Events are used to change the state of a component from its children. Props and events can be enough for simple scenarios but once the data requirements for your application becomes complex, you'll need to implement other advanced strategies or patterns. Among these patterns is the Flux pattern which aims to centralize the state across an application. In a Vue application, you can implement this pattern using Vuex. Another popular implementation of the Flux pattern is Redux which more popular among React developers. But Redux is framework-agnostic which means you can also use it with Vue. With that said, Vuex is the better option in Vue because it offers a better integration since it's the official library for state management in Vue. A working experience of Vue.js. That's all what you need. You'll install the other requirements throughout this tutorial. In this tutorial, we'll be using the latest version of Vue.js CLI to generate a new Vue project so first let's start by installing the CLI. Since your are installing the CLI globally on you system, make sure you have the required permissions by configuring your npm configuration or simply use sudo before you command. This will generate a vuex-demo project in your current directory. The CLI will be asking for a preset that will be used for your project. You can also manually choose the features needed for your project from a set of official plugins like Babel, TypeScript, PWA, Vue Router and Vuex. So go ahead and manually select Babel, Vue Router and Vuex for your project. The CLI will also ask you for some other options for configuring the router such as router history and dedicated config files. You can also choose if you want to save the preset or not. That's it, you are now ready to start learning Vuex by implementing a simple application that manages its state using a central store. Now that we have created our project, let's create the components of our application. That's all for now about components. Before continue building our Vue application, let's first understand the Vuex basics. A Vuex store is a central object for storing data in your Vue application. It also provides different methods for accessing and mutating global state. state; this object contains the actual state of the application i.e any variables and array etc. actions: this object contains methods that call the mutation methods. Mutations are functions that enable you to mutate and upsate the state in a Vuex store. These function can not be called directly but instead they need to be committed using the .commit('mutation') of the Vuex store. Actions are functions that can be used to commit the mutations. Actions can do asynchronous operations. 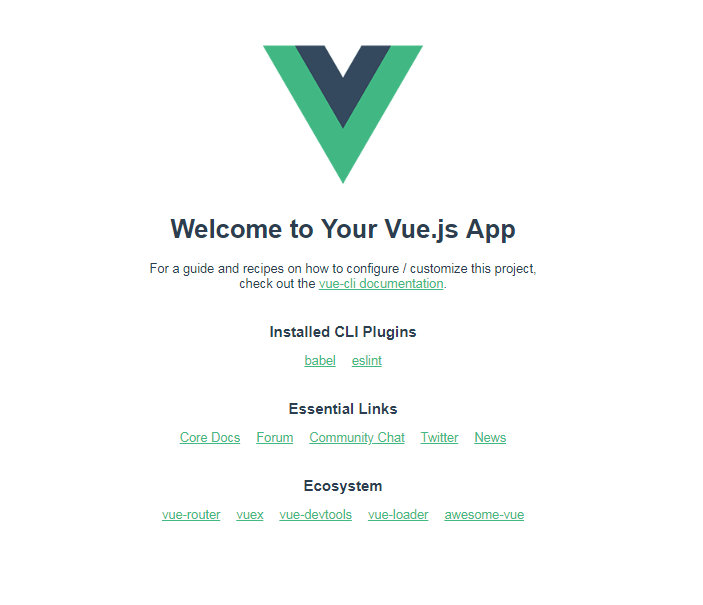 In this first part of the Vuex tutorial, we've installed the Vue CLI and used it to create a Vue demo that will be used to demonstrate the different concepts of Vuex. We've also seen basic concepts like the Vuex store, state, mutations and actions.